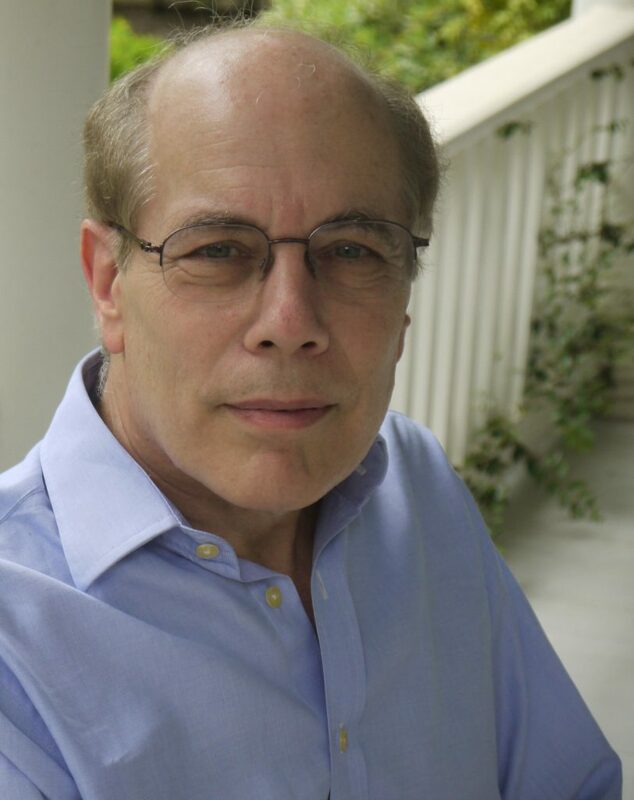 Glenn Frankel is an author and journalist, based in Arlington, Virginia. Most recently, he served as the director of the School of Journalism and G.B. Dealey Regents Professor at the University of Texas at Austin. He has also spent time as a visiting journalism professor at Stanford University and an Alicia Patterson Fellow. Notably, he won the 1989 Pulitzer Prize for International Reporting when he served as Washington Post reporter, editor, and bureau chief in London, Southern Africa, and Jerusalem. His book, The Searchers: The Making of an American Legend, was a New York Times and Los Angeles Times bestseller and a Library Journal Top Ten book for 2013. 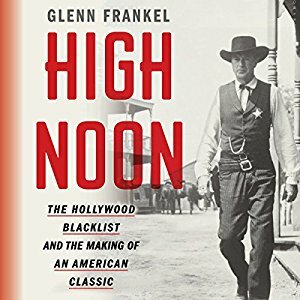 His new book explores the Hollywood blacklist and the making of the classic western High Noon. On June 14, he will be speaking at House of SpeakEasy’s Seriously Entertaining show, By the Light of the Moon alongside Brad Gooch, Harry Evans, and Ada Calhoun (tickets). We spoke to Glenn ahead of the show. Where are you from? Born in the Bronx but raised in Rochester NY. If you had to paint a scene from your childhood to capture its essence, what would you paint? My bedroom with midnight approaching, a small light shining from under the covers from a flashlight while I read a smuggled book or the on-light from my Japanese-made transistor radio as I listened to the latest music of the British invasion and the American pop music counterattack. I was wrapped in solitude, yearning for a world I couldn’t possibly know anything about, desperate to begin Real Life. Like a small feather-less bird waiting to grow up and learn how to fly, I could feel my galloping heart thumping with excitement and anxiety. What’s your earliest memory of literature? Don’t know if I’d exactly call it “literature,” but the Landmark series of American history books were my first introduction to meaningful written storytelling. George Washington: Frontier Colonel by Sterling North; Custer’s Last Stand by Quentin Reynolds; Davy Crocket by Stewart H. Holbrook and Gettysburg by Mackinlay Kantor are among the ones I remember best. Although they were generally predictable and self-congratulatory tales of the triumphs of the American empire and the white men who created it, they were vividly written, easily digested and infinitely more exciting than the cautious renderings on offer in junior high school. They demonstrated the power of writing to excite my imagination, and helped persuade me that perhaps I could become a writer myself. Which day in your life would you repeat? Which day would you delete? The birth of my first child. We were so ready, her mother and I, so unconfused about this new person in a way we’d never been about anything before. All of my three children are grand human beings who have given us endless joy, but the experience of bringing the first one into the world was beyond perfection. I long to delete Sept. 11, 2001. Not just because of the terrible suffering of the 2,996 innocent dead, 6,000 injured and their families, but because the event had such a toxic, malignant impact on so much that has followed, triggering hundreds of thousands more innocent deaths in Iraq, Afghanistan, Yemen and countless corners of the globe. setting back the case of human rights and understanding between nations, peoples and religions, legitimizing terror, torture and tyranny on a grand scale, and now a political backlash in the West that threatens the re-ascendancy of fascism. And all because a small band of mindless, brutal, immoral thugs got lucky. What are you reading right now? Midnight Cowboy by James Leo Herlihy, an overlooked classic, long out of print, about human longing and compassion amid the most squalid and desperate of conditions. Who, in music, strikes deepest in the soul? These days it’s the late Harry Nilsson, the brilliant, tragic, self-immolating comet of a singer-songwriter with a lost soul and a three-and ½ octave range. He’s best known for Grammy-winning performances of two songs he didn’t write—“Everybody’s Talkin’” and “Without You,” plus his extraordinary album “Nilsson Sings [Randy] Newman.” But the early stuff that Nilsson himself wrote is equally wonderful. Have you ever seen a moonbeam? What’s the loveliest book (to hold, to look at, to leaf through) that you own? Places I Remember: My Time With the Beatles by Henry Grossman is a book of 500 pages and 1,000 photos that speak to me of love, joy and childhood. It’s a lot of fun, wonderful locales, nothing too solemn or profound, just very human and child-like. And the best are the ones that capture their eyes when they’re looking straight at the camera. Cost me $500, so it better be good. Where would we find your favorite bookstore? I have many many favorites but these days the Larry Edmunds Bookstore on Hollywood Boulevard in Los Angles tops my very long list. It features a fabulous collection of books, posters, photos, etc. from my newly adopted subgenre—the history of the movies—and an owner in Jeff Mantor whose passion and devotion exceeds even my own. Who would you choose to read the audiobook of your collected works? Allan Robertson, the guy who narrated my High Noon book for audible.com, did a very fine job. But if we could turn back the clock, for my Western books I’d go for the archetypal frontier icon, a lanky fellow from Montana named Gary Cooper.